This why the three greatest world States – China, the United States and Russia – refused to ratify it. They saw in it – quite rightly – a violation of the principle of sovereignty, formulated in the 18th century by the legal expert Emer de Vattel, and voted into action by the 1969 Vienna Convention on the Law of Treaties . 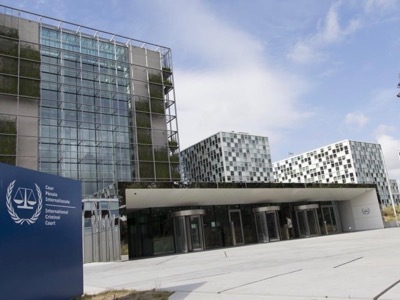 It is important to understand what is happening – over the last few years, the ICC has mainly been financed by the European Union, and has drawn up its own Code. Until 2016, it tried only African defendants under its own laws, and found them all guilty . After a vote by its Parliament, Burundi then decided to withdraw from the Rome Statute, on the motive that the ICC had become « an instrument of pressure on the governments of poor countries, or a means of destabilising them according to the desires of the great powers ». Three other states then followed – Gambia, the Philippines and South Africa. However, South Africa and Gambia changed their minds after Gambian Fatou Bensouda was named as the new Prosecutor General for the Court. Certainly, his successor, Fatou Bensouda, is more presentable. But the structure has not changed. The magistrates of the Court are so aware of this that on 15 January 2019, they revolted and acquitted Laurent Gbagbo and Charles Ble Goude – two defendants whose alleged « crimes against humanity » had served to justify the « régime change » imposed by France in the Ivory Coast. It was the first time that the ICC abandoned the political role with which the Europeans had tasked them. The Syrian President, Bachar el-Assad, will therefore probably be tried in absentia by the ICC. He will appear in abstensia with other Syrian representatives whose names have not yet been released. He is used to this. In 2005, he was accused of ordering the assassination of ex-Lebanese Prime Minister Rafic Hariri, this time with the complicity of Lebanese President Emile Lahoud. An international enquiry was led by a German/ Israeli team . Then a pseudo-tribunal was created on the initiative of the US ambassador US to Beirut, Jeffrey Feltman. A treaty was signed by General Secretary of the UNO – with the approbation of the Security Council – and by the new Lebanese Prime Minister – without the authorisation of either the government or the Parliament. It was initiated by the British lawyer for the plaintiffs, Rodney Dixon, known for also being the lawyer for Qatar against Saudi Arabia and the United Arab Emirates. He had a long experience of « international Justice » since he had been one of the councillors for Canadian Louise Arbour, the General Prosecutor for international Justice for ex-Yugoslavia and Rwanda – two institutions which failed to find the truth about the crimes with which they were tasked.